Can’t afford something larger than a studio, but scared you’ll go nuts spending all your time in a single room? Guest broker Jimmi Circosta of Citi Habitats gives studio-dwellers some sanity-saving pointers in this week’s Buy Curious. I want to buy a studio apartment that I won't immediately grow out of--or sick of. What should I look for? Buying a studio usually says one of two things about a buyer's budget: either they simply cannot afford a one-bedroom or they're willing to sacrifice space to live in a specific neighborhood or a building with lots of amenities. Studios in Manhattan range from $275,000 to $650,000 depending on the location, apartment size and type of building. On average, a co-op studio measures 480 square feet and sells for $390,000, while the average condo is bigger (540 square feet) and pricier ($570,000). If it's in a prime location—such as a top-of-the-line condo building or new construction—you’ll pay even more. Inventory is also a big factor in pricing. In neighborhoods that have a lot of housing stock currently on the market, there will be tons of similar options available, which will drive prices down. 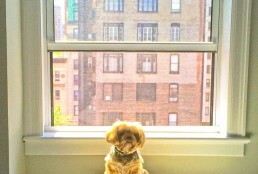 For example, on the Upper East Side, you'll find about 100 studios listed right now, with an average price of $331,000 and an average size of 501 square feet, according to the Citi Habitats listings database. In contrast, the West Village has only five available listings; the average price is $549,000, and the average size is 487 square feet. Soho, Tribeca and parts of Gramercy and Chelsea also command top dollar. For values, look above 59th Street. An alcove studio: This kind of unit has a separate L-shaped nook that can act as a sleeping or dining area, or you can wall it off into a real bedroom with a temporary wall, French doors or a bookshelf or divider. But you'll likely pay more: $440,000 for an average alcove studio co-op, at 530 square feet, and $750,000 for an average condo, at 595 square feet. Create zones: Even if you've only got one room, its different functions--eating, sleeping, relaxing--should remain separate. If, for example, the unit is rectangular with a window at the far end, set up a small table and chairs near the entry for a dining area. Just beyond that, put your couch and TV for your “living room.” Your bed and nightstand should go near the window. If there’s room for it, try to create a sense of privacy for your “bedroom” by placing a bookshelf or foldable screen between the living and sleeping areas. A separate kitchen: Although they're usually just small galley-style kitchens, they still keep you from having to stare at your sink with its ever-growing pile of dirty dishes while lying in bed. Oversized or floor-to-ceiling windows: They can help open up a space and prevent that dreaded shoebox feel. High ceilings: Nine-foot or taller ceilings can help you maximize your space. Add shelves as high up as you can to keep your floors as clutter-free as possible. Closet space: Having a single closet in a small space will get very old very fast. Having two or even three closets will help you avoid clutter and stay organized. Lots of light: South-facing apartments will typically get the most light, but make sure it isn’t too much. You don’t want to inadvertently bleach your furniture or spend your summer days sizzling. Definitely tour the apartment on a sunny day to see what you’d be in for during a scorcher. Buy in a building with communal areas you can use: So maybe you won't be able to throw a large party in your studio, but if your new building has a resident's lounge, rooftop deck or catering kitchen, you could still easily play host in your building. Upper East Side studio/1-bathroom condop, $449,000: This studio at 240 East 76th Street between Second and Third Avenues has a double exposure (making it sunnier than most places), decent finishes, a dishwasher, a whopping four closets (to keep clutter at bay) and low maintenance (just $829 a month). The building also boasts a full-time doorman and a liberal board, which allows for subleasing after one year as well as pieds-à-terre. Upper East Side studio/1-bathroom co-op, $309,000: This studio at 330 East 83rd Street between First and Second Avenues is all about the price. 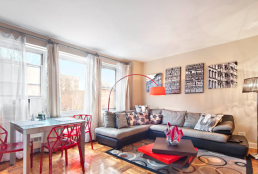 With a monthly maintenance of just $588 on top of the $309,000 price tag, this sunny studio is definitely affordable. 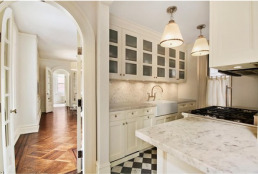 Recently renovated, it has a pass-through kitchen with granite counters. The building has a renovated lobby and hallways, a part-time doorman and a live-in super. Midtown West studio/1-bathroom co-op, $295,000: Located at 457 West 57th Street between Columbus and Tenth Avenues, this co-op studio is a find for its price alone—under $300,000 in a full-service building. The apartment was gut renovated four years ago. The building is close to Central Park, Columbus Circle and Riverside Park, and features a 24-hour doorman and bike storage. 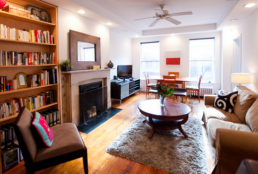 Upper East Side alcove studio/1-bathroom co-op, $415,000: This alcove studio at 340 East 80th Street between First and Second Avenues is large (550 square feet), affordable ($415,000) and has a low monthly maintenance fee of $583. The apartment is south-facing and has a separate kitchen and a designated dining area. The full-service building has a 24-hour doorman, a fitness room, an outdoor courtyard, a children’s playroom and a garage. Midtown East alcove studio/1-bathroom co-op, $399,000: This alcove at 225 East 57th Street between Second and Third Avenues is spacious at 550 square feet, and is conveniently located right around the corner from the 4, 5, 6, N and R trains. All utilities—including central A/C—are included in the $973 a month maintenance. There’s also a full wall of windows and a large dressing area. The building boasts a full-time doorman, a roof deck and a garage.